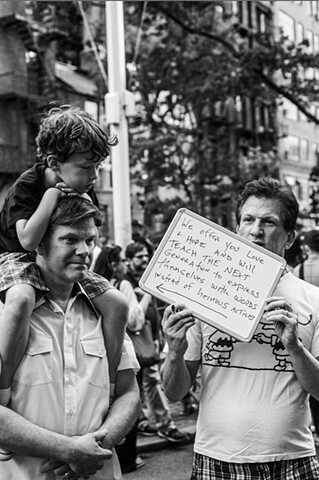 A couple protests with their son at a rally in support of the victims of the Orlando nightclub shootings at The Stonewall Inn in New York on June 12, 2016. 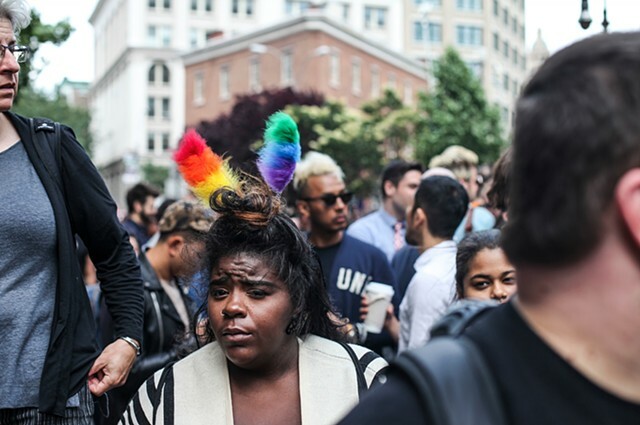 An emotional protestor stands at a rally in support of the victims of the Orlando nightclub shootings at The Stonewall Inn in New York on June 12, 2016. 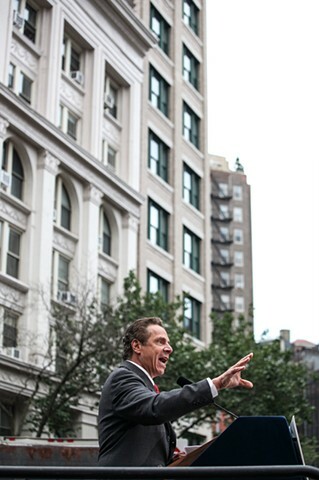 Governor Andrew Cuomo speaks to protestors at a rally in support of the victims of the Orlando nightclub shootings at The Stonewall Inn in New York on June 12, 2016. 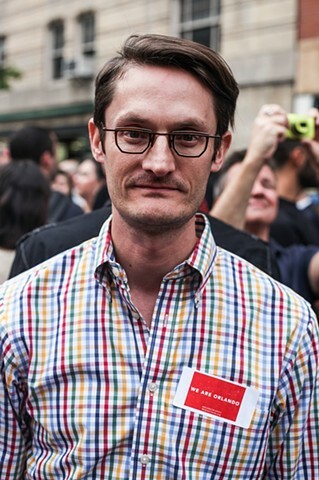 A protestor at a rally in support of the victims of the Orlando nightclub shootings at The Stonewall Inn in New York on June 12, 2016. 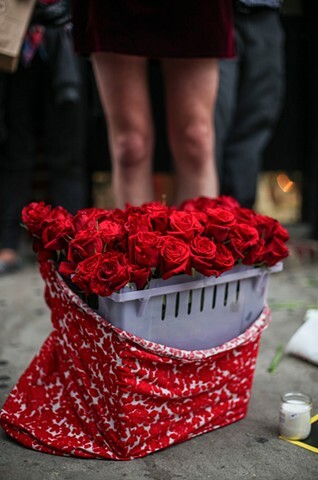 A bucket of red roses sits amongst candles and flowers at a rally in remembrance of the victims of the Orlando nightclub shootings at The Stonewall Inn in New York on June 12, 2016. 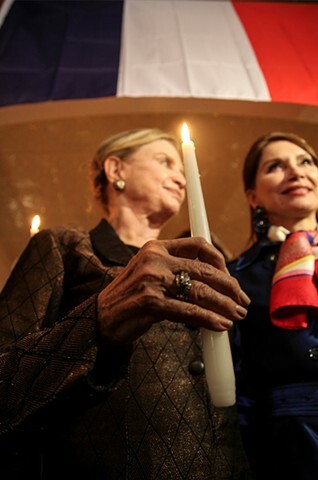 Congresswoman Carolyn Maloney and philanthropist Jean Shafiroff speak out in support of those injured and killed in the Paris terrorist attacks at Vin Sur Vingt, a French restaurant in Manhattan's NoMad neighborhood, on November 13, 2015. A first responder pauses at the scene of the Con Edison gas explosion and resulting fire in New York's East Village on March 26, 2015; an illegally-tapped gas main caused the explosion, completely obliterating a row of landmark residential buildings. 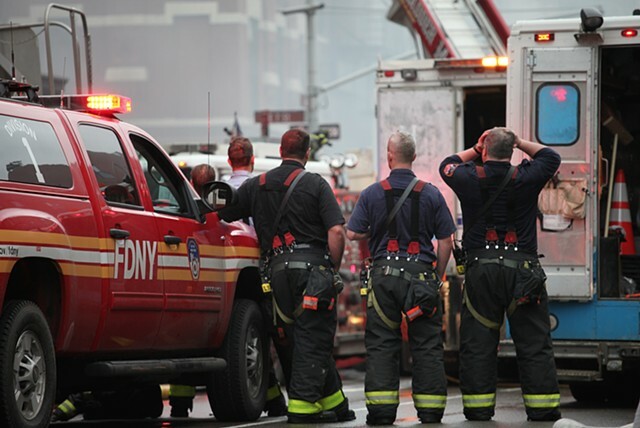 Fire fighters observe the scene of the Con Edison gas explosion and resulting fire in New York's East Village on March 26, 2015; the incident resulted in two deaths, nineteen injuries, and the complete eradication of three adjoining buildings. 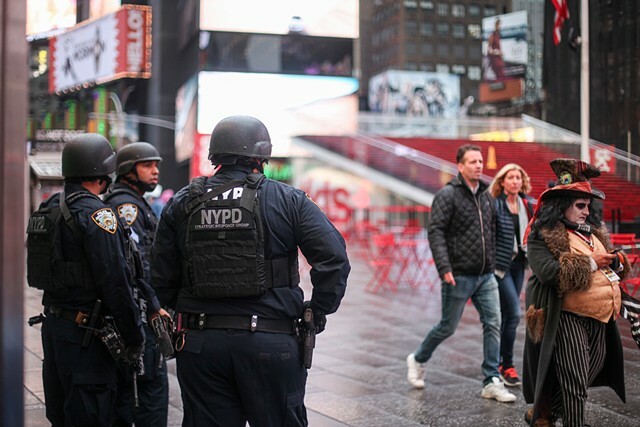 Despite a recently released ISIS video which insinuated an imminent bomb detonation in Times Square, tourist traffic and construction remains normal with some additional police support on November 15, 2015. 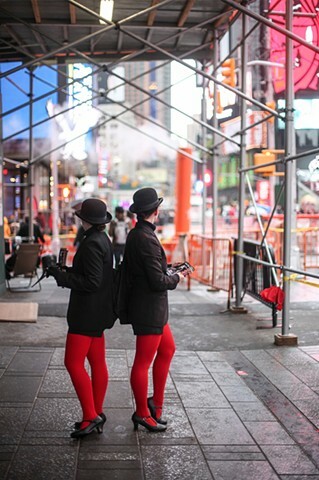 Even with increased security in New York following the terrorism attacks in Paris just two days prior, tourism and foot traffic remains normal in Times Square on November 15, 2015. 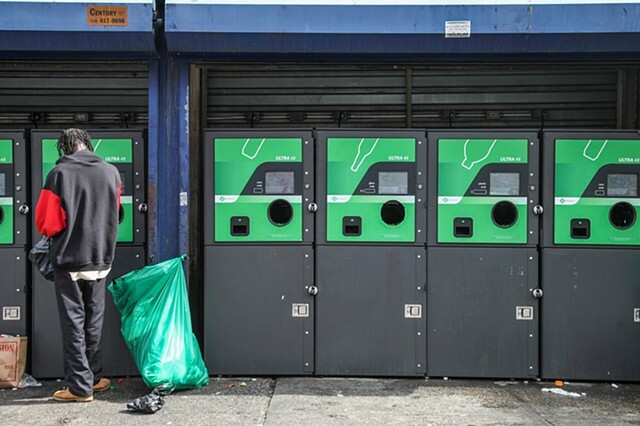 A homeless man deposits bottles at the Pathmark supermarket on 125th and Lexington Avenue on September 28, 2015. 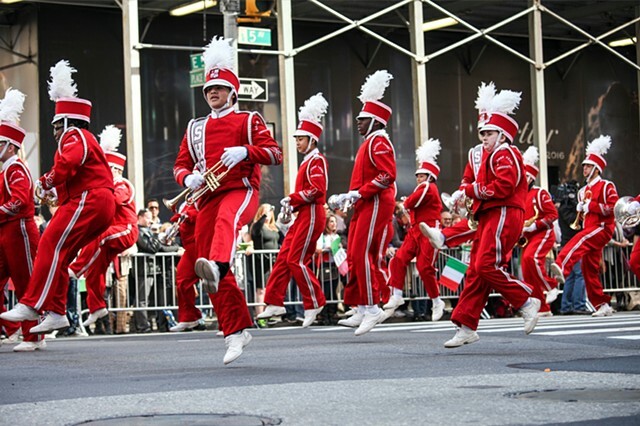 A marching band performs in the Columbus Day Parade on October 12, 2015, which celebrates both Christopher Columbus as well as Italian-Americans' contributions to the U.S.
A young boy plays in the middle of 125th Street as his guardians sell items out of their car on September 28, 2015. 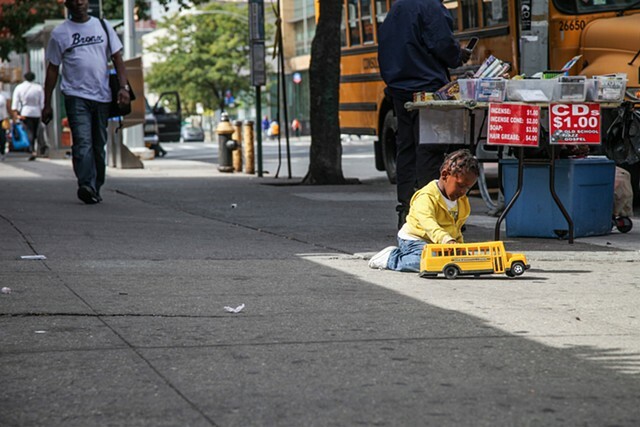 A homeless woman begs on 125th Street and Lexington Avenue on September 28, 2015. 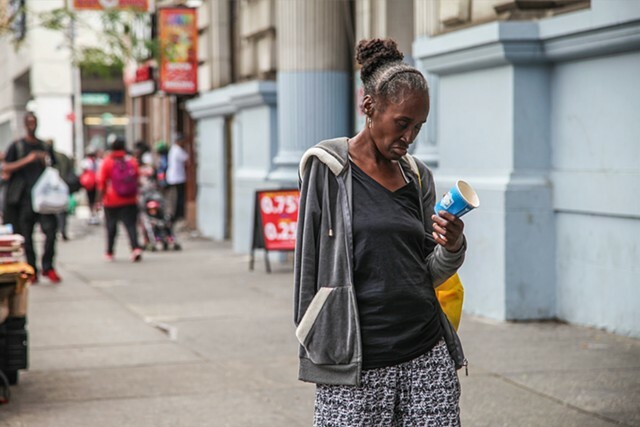 Issues with homelessness in Harlem have increased with the introduction and gaining popularity of K2, a drug marketed as synthetic marijuana. 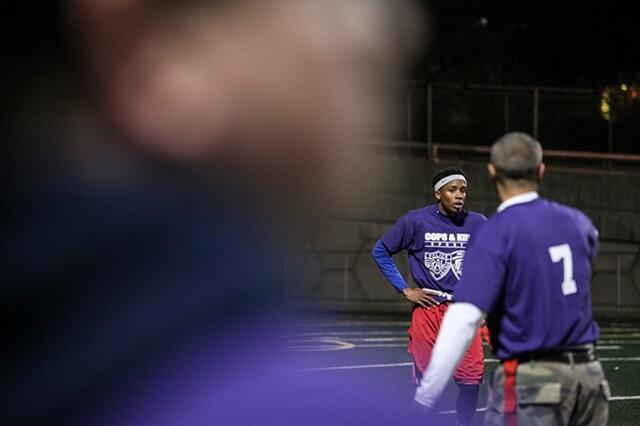 The local community joins together at a football game at Mott Haven High School in the Bronx on November 17, 2015, which brings out police officers and kids alike for the P.A.L. event. 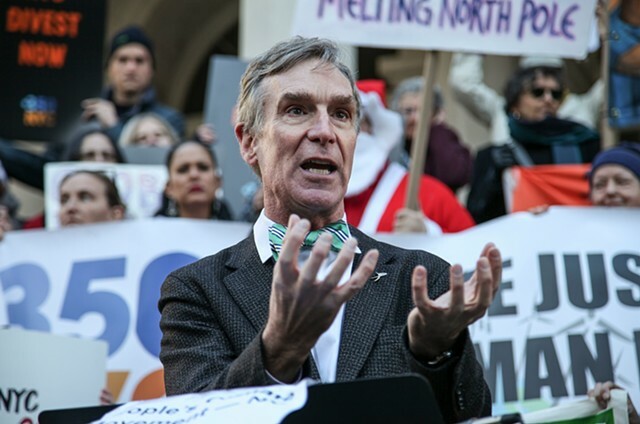 Bill Nye speaks at a press conference at Manhattan's City Hall in support of NYC's participation of the Global Climate March on November 29, 2015. 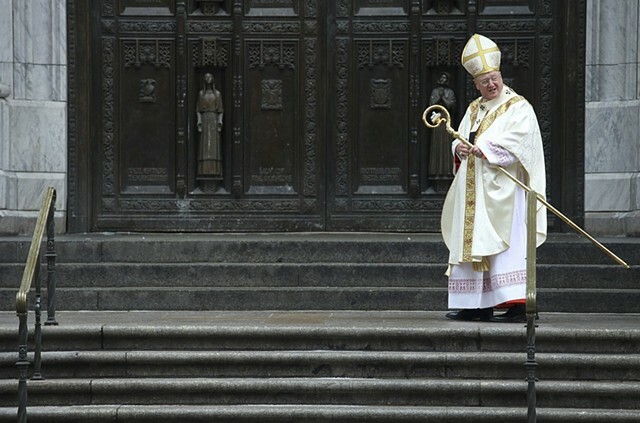 Cardinal Timothy M. Dolan arrives at St. Patrick's Cathedral for Cardinal Edward M. Egan's funeral on March 10, 2015; it was Cardinal Egan's wish to have Cardinal Dolan officiate his funeral. 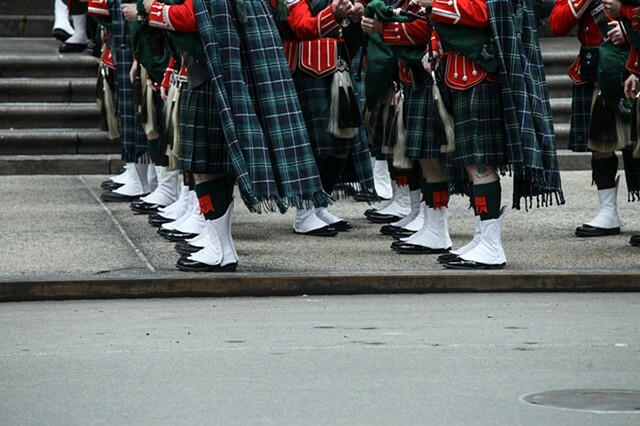 The procession for Cardinal Edward M. Egan's funeral at St. Patrick's Cathedral on March 10, 2015. A police officer monitors activists in Zuccotti Park on the fourth anniversary of Occupy Wall Street on September 17, 2015. 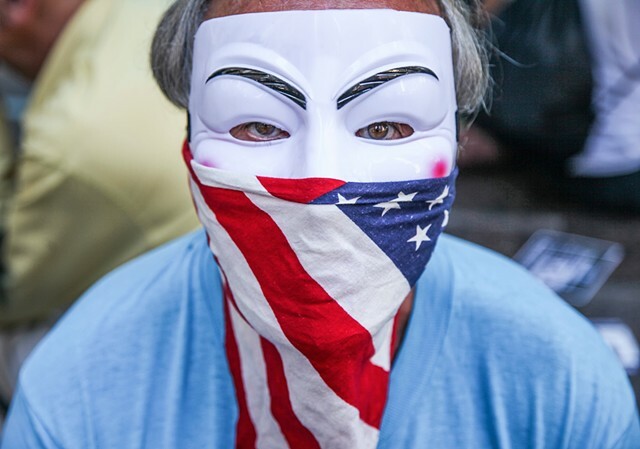 An activist rallies in Zuccotti Park on the anniversary of Occupy Wall Street on September 17, 2015. A young girl plays on F.A.O. 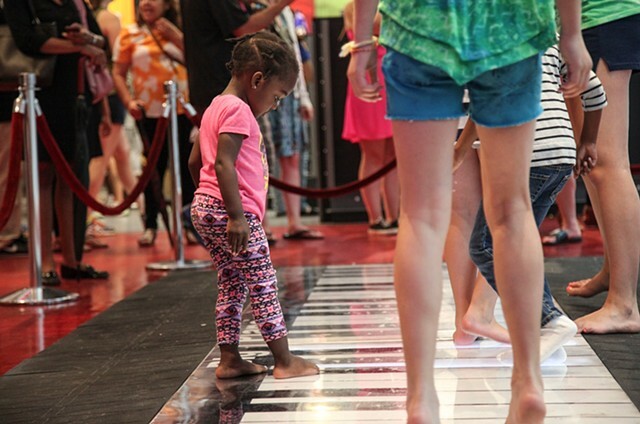 Schwarz's iconic life-sized piano for the last time on July 15, 2015; the legendary Manhattan store will close this week after being in business for almost 30 years due to rising rental costs. 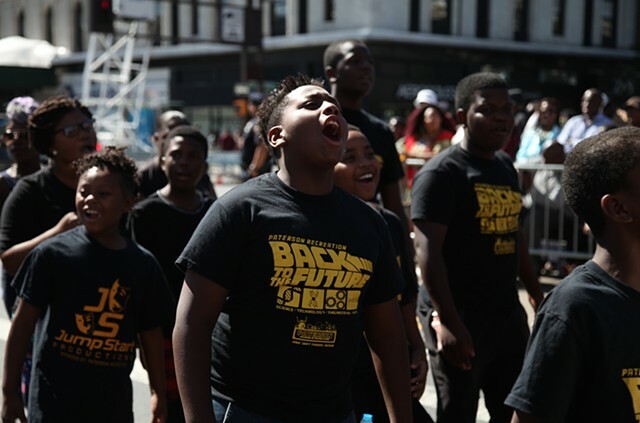 Kids from Paterson Recreation of Paterson, New Jersey march down 125th Street during the 46th annual African American Day Parade on September 20, 2015. 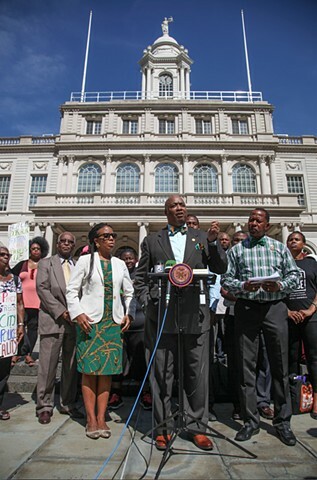 NAACP co-op City Branch President Jerome Rice, joined by Councilwoman Laurie Cumbo and Councilman Andy King, speaks at a press conference at City Hall concerning tennis star James Blake's wrongful arrest on September 16, 2015. 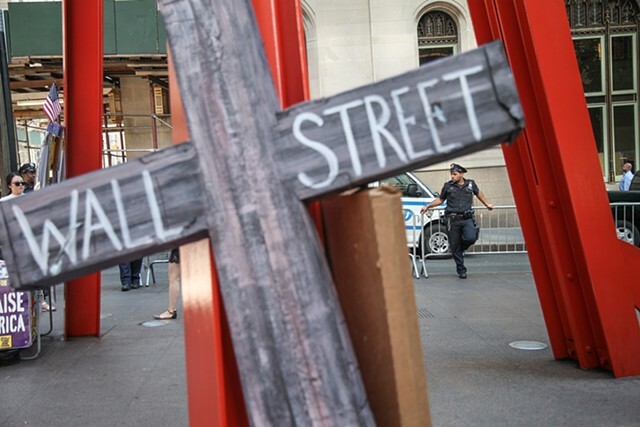 In addition to those excited for a glimpse of Pope Francis, Westboro Baptists also line the streets near the 9/11 memorial and museum where he is set to pay his respects to the victims of the tragedy on September 25, 2015. 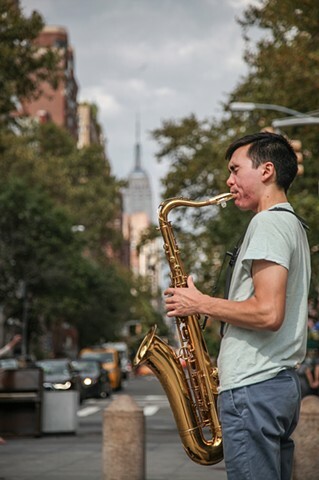 David Yee, a musician new to the city, plays his saxophone in Washington Square Park on September 13, 2015. 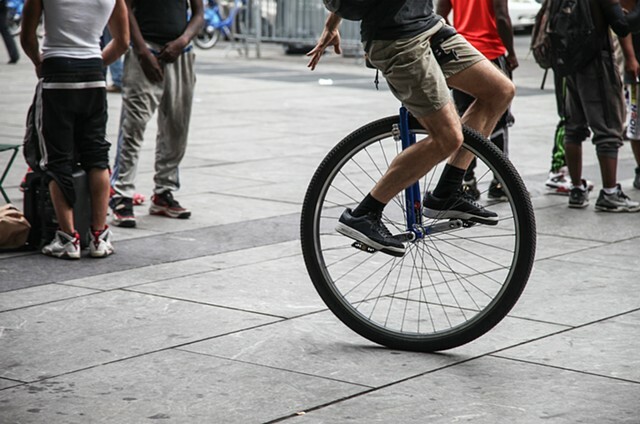 Cyclists ride across the Brooklyn Bridge during Brooklyn Unicycle Day as part of New York's Unicycle Festival on September 4, 2015. 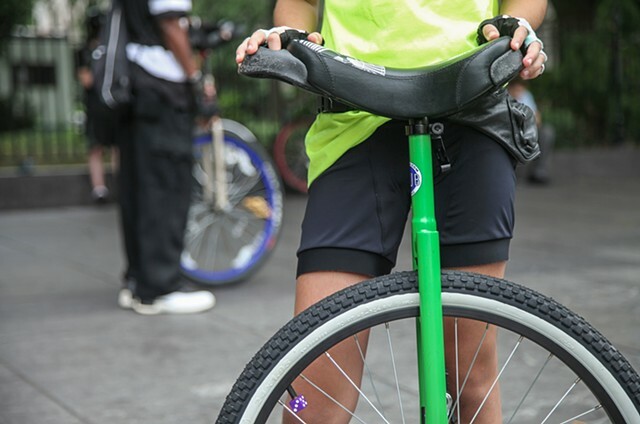 Unicyclists, some of whom had traveled from as far as Texas, gear up for their ride across Brooklyn for Brooklyn Unicycle Day in City Hall Park, Manhattan on September 4, 2015. 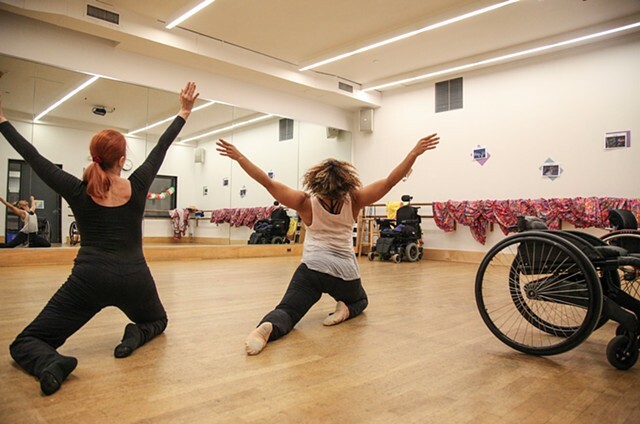 Dancers Kitty Lunn and Alice Sheppard, who use dance to help with the symptoms of Paralysis, rehearse for an upcoming show at Oregon's Shakespeare Festival on June 30, 2015. Lunn is a longtime and vocal support behind the American Disabilities Act.